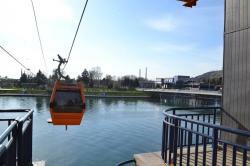 Mingachevir is one of the cities with tourism potential. New hotels, leisure and entertainment centers have been created here. 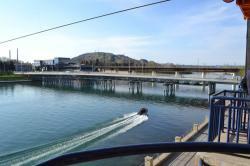 Now, local and foreign tourists will also be able to ride a cable car in the city, which is a new leisure and entertainment facility on the Kura river. 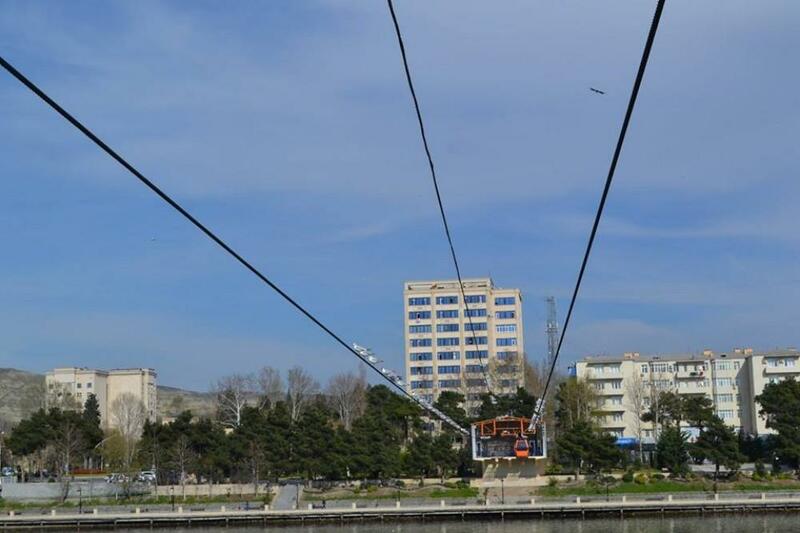 The new cable railway has been constructed at the Sahil Park near the Kura River on the order of five-star hotel “Agsaray”. 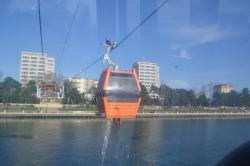 The cable car, built to attract many tourists during the summer months, has two booths. It is possible to move from the right bank of the river to the left shore via this new entertainment. The electric motor-driven device provides a complete safe service to people. 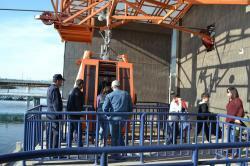 The cable car has a total weight of 320 kilograms. At the same time four people can easily sit on the river for a 10-minute walk. 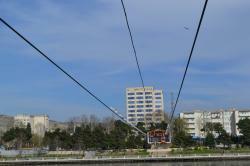 If you’re planning to ride a cable car you should pay 2 manats ($1.17). In the future it is planned to increase the number of booths. In addition, small-sized new modern motorboats were brought to Mingachevir. Tourists have the opportunity to travel safely on the Kura through these vehicles. Mingachevir is the fourth-largest city in Azerbaijan. It is known as City of Lights because of its hydroelectric power station on the Kur River, which splits the city in half. The history of city covers a period from the eneolith era (3000 BC) to the AD 17th century. Over 20,000 historical monuments, including graves and tumuli, means of production, things related to daily life, jewelry etc., were found there. 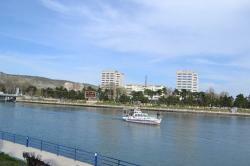 Mingachevir is a famous city with rich culture. The Mingacevir Historical Museum was established in January 1968. The museum has two branches – Martyrs’ Memorial and Independence Museum. The museum has 14,461 exhibits. The city is also home to Mingachevir Gallery, which includes 310 works of art by Azerbaijani and Russian artists.